2013 Virtual Easter Egg Hunt! Easter is Sunday, March 31, 2013. 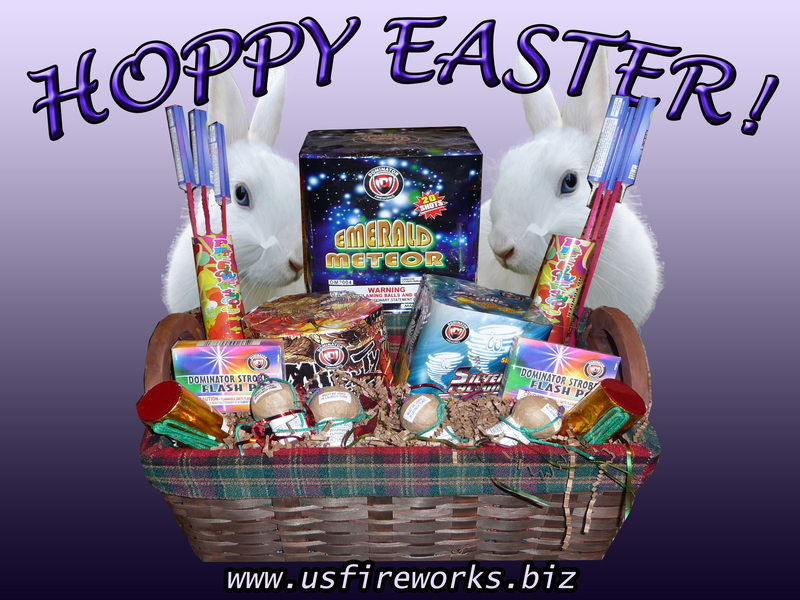 Starting today US Fireworks is hosting a virtual, online Easter egg hunt! Now through Easter simply search through our online superstore for the hidden Easter Eggs to win prizes! Eggs are hidden on several pages. There will only be one egg per page. Find at least one egg to enter. Copy and paste the URL of each page you find an egg into the e-mail. 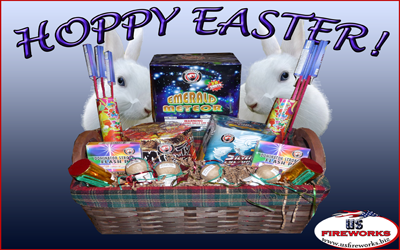 Posted in Holiday Fireworks	| Tagged Easter, Easter Bunny, Easter Sunday, Eater Egg Hunt, Fireworks, Holiday, online fireworks	| Comments Off on 2013 Virtual Easter Egg Hunt! Congratulations to B.B. from Arkansas for winning the free prize package this week! His prizes will be sent on their way we hope he enjoys them, you could be the next winner this is the last weekend for the contest so go to USFireworks and enter now there’s no purchase neccessary. Easter is Sunday, April 24th 2011. Posted in Uncategorized	| Tagged Easter, Easter Sunday, Eater Egg Hunt, Free Prizes	| Comments Off on Virtual Easter Egg Hunt!